News Art & Travel in New York city, United States, 18-11-2017 – The continuity of the multimedia exhibition of Santiago Ribeiro in Times Square in New York in the international press. There are many international members of social communication that have made reference to the show of Santiago Ribeiro in the giants “screens” of New York. 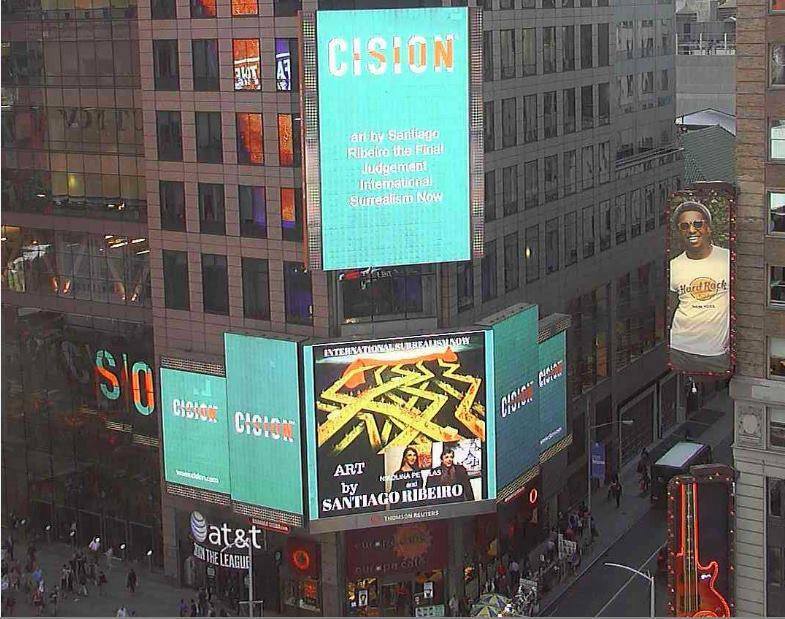 Portuguese surrealist painter Santiago Ribeiro continues with the impressive multimedia exhibition in the giant screens of Time Square in New York, the show is already in the fourth month. 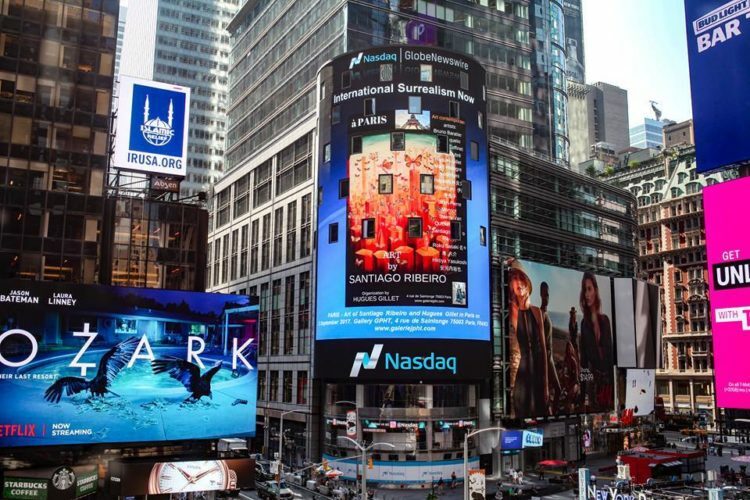 Contacts: Times Square, New York, NY 10036, USA.